I’m biased because I have very strong memories associated with Andrew McMahon’s first band, Something Corporate. I won’t get into it, but for an 18 year old it was the closest thing to “identifying with the music” I had at the time. McMahon took that energy and created Jack’s Mannequin in 2004. A fusion of piano and rock, JM released “People and Things”, their 3rd full length album, in September, and for a fan, it doesn’t disappoint. Their first single, “My Racing Thoughts”, encapsulates the runaround love story that only teenagers can have. It’s a testament to being young, a reminder of late summer nights in the city.”People, Running” is a highlight, quick paced and considers the fragility of life. What does it all mean? Don’t worry about it; enjoy it while it lasts. Hey Hey Hey (We’re All Gonna Die) is an emotional (not to be confused with that awful genre of “emo”) track, and recalls back to that misunderstood side of being a kid. “Platform Fire” hits all the right notes, from the mellow intro to the break towards the end. It’s an enjoyable rest from the high intensity of the rest of the album. Like I said, I have a certain affiliation with this album; it’d be interesting to hear a new listener’s perspective. 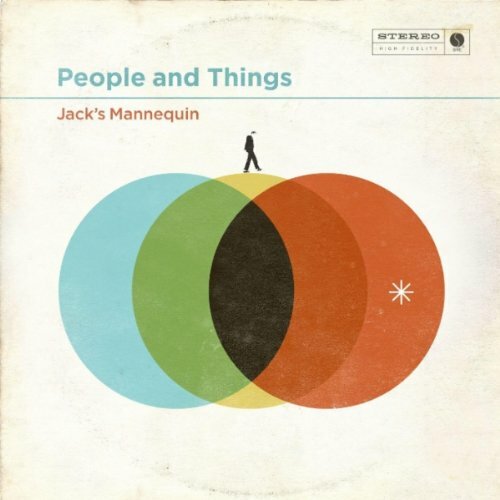 For me though, this is a gem – the ghost of an unsung hero of my adolescence shines through in “People and Things”, and, with any luck it’ll open up a whole new fanbase. Don’t worry though, guys, I’m not going anywhere.